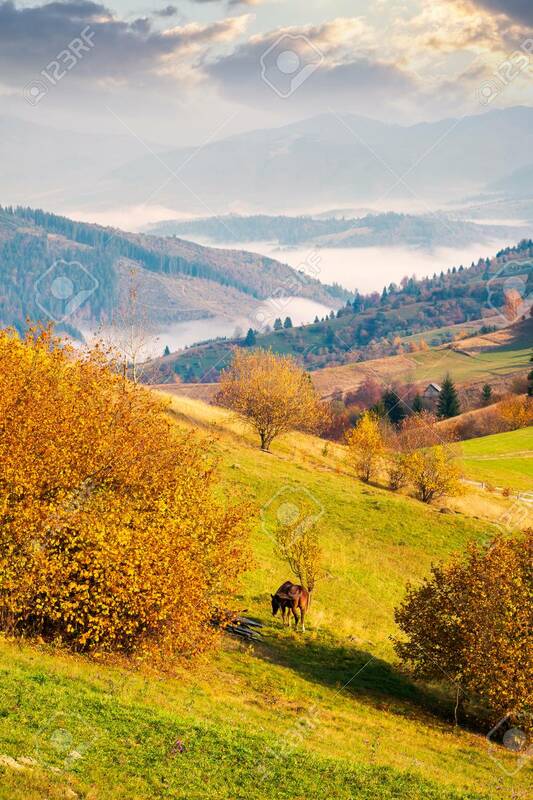 Beautiful Mountainous Countryside In Morning Fog. Beautiful Vivid.. Stock Photo, Picture And Royalty Free Image. Image 106208434.